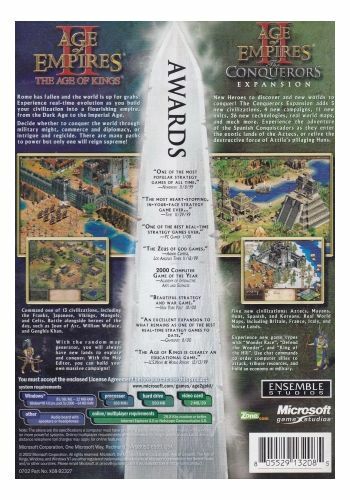 Age of Empires II Gold Edition unites the exciting game play of both Microsoft Age of Empires II: The Age of Kings and Age of Empires II: The Conquerors Expansion - plus additional content - for one compelling gaming experience. 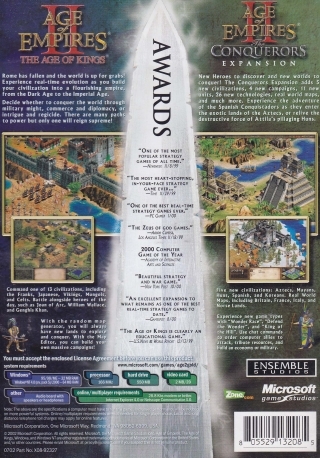 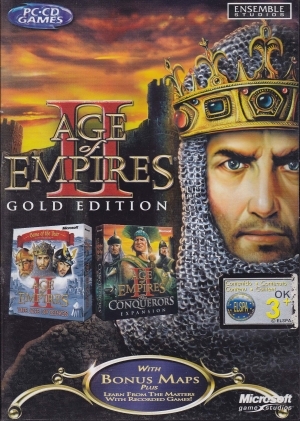 Age of Empires II: The Age of Kings spans 1,000 years, from the fall of Rome through the Middle Ages, in which players control the destiny of one of thirteen civilizations. 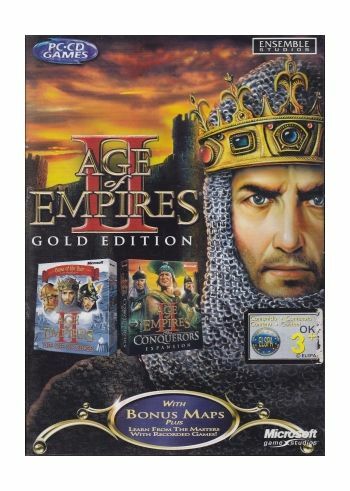 Age of Empires II: The Conquerors Expansion will challenge veterans and novices to wage war on an epic scale with all-new civilizations, unique units and technologies, and campaigns based on infamous conquerors such as Attila the Hun, El Cid and Montezuma.